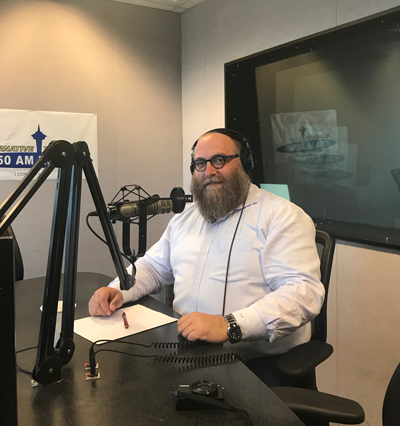 Rabbi Elazar Bogomilsky serves as the Executive Director of The Friendship Circle of Washington, a local nonprofit organization that extends support and friendship to families, children and teens with special needs. As Senior Instructor for the Jewish Learning Institute (JLI) for adult education, he teaches and lectures throughout the Greater Seattle area. He hosts the only Jewish radio program in the Greater Seattle area known as, “Schmooze Radio,” on Seattle’s KKNW. Presently he resides with his wife Esther and their children in Seattle, and is very active in being a voice throughout the city spreading the importance of genuine compassion an love to our fellow - and inspiring those to experience the power of their deeds and the impact its makes on others. Rabbi Bogomilsky graduated with honors from Central Yeshiva Tomchei Temimim Lubavitch, in Brooklyn, New York, where he received his Bachelors in Talmudic Jurisprudence and was elected to the “National Dean’s List,” and the list of “Who’s Who in America.” He received his Rabbinical Ordination under the tutelage of the Chief Rabbi of Kiriat Malachi in Israel, who is chairman of the judicial court from the Rabbinical Alliance of Israel.